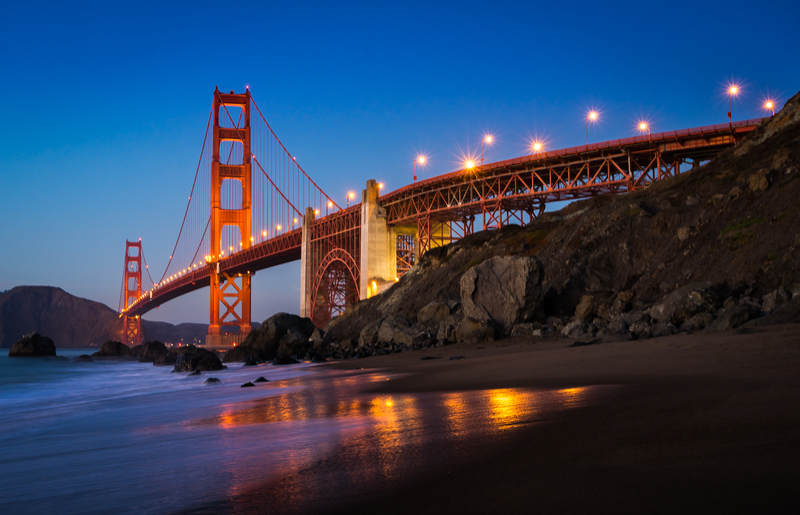 California is a popular State in the US known both for its business potential and its wonderful tourist attractions at the Pacific Ocean where particularly beaches are famous. addCar offers you a car hire in California in several cities including Ontario, Los Angeles and San Francisco airport. California, a western U.S. state, stretches from the Mexican border along the Pacific for nearly 900 miles. Its terrain includes cliff-lined beaches, redwood forest, the Sierra Nevada Mountains, Central Valley farmland and the Mojave Desert. The city of Los Angeles is the seat of the Hollywood entertainment industry. Hilly San Francisco is known for the Golden Gate Bridge, Alcatraz Island and cable cars. The easiest way to get around is with car rental in California. addCar can offer you car hire in Los Angeles, San Francisco and Ontario airports. The tourist attractions in California are immense. Disney World, Universal Studios, Hollywood, Sunset Boulevard are just to name a few. The famous beaches are certainly also worth a trip and why not try surfing while you are there? Driving is part of the life style in the US and one of the most famous drives is Highway 1 between Los Angeles and San Francisco. addCar can offer you car rental in both of these cities and our selection of cars ranges from small affordable cars to high end luxury cars; why not try a Ford Mustang convertible rent a car from addCar while you are there?